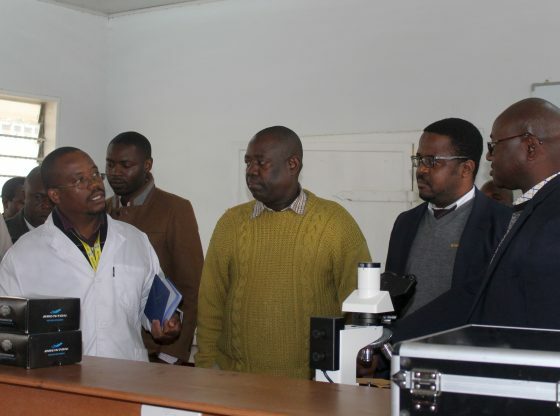 Zimbabwe Council for Higher Education (ZIMCHE) has commended the Midlands State University led by the Vice-Chancellor, Professor V. N. Muzvidziwa for introducing programmes that respond to the national critical skills shortage. Speaking at the Midlands State University, Zvishavane Campus where the team was evaluating facilities for proposed new programmes, the ZIMCHE Director Registration and Accreditation, Dr A. Tirivangana, said MSU has become a pacesetter, in coming up with programmes and in producing relevant graduates that respond to the national demand for critical skills. ‘The mining sector has been identified as a critical area in ensuring that Zimbabwe becomes an industrial and technological hub. In that vein, MSU has managed to introduce programmes that are relevant in the mining sector, in response and in support of the National Critical Skills Audit which was recently launched by the President, His Excellency, Cde E. D. Mnangagwa’, he said. The Midlands State University is currently introducing new programmes, as well as up-scaling those already offered in line with contributions and requests from its alumni and stakeholders.